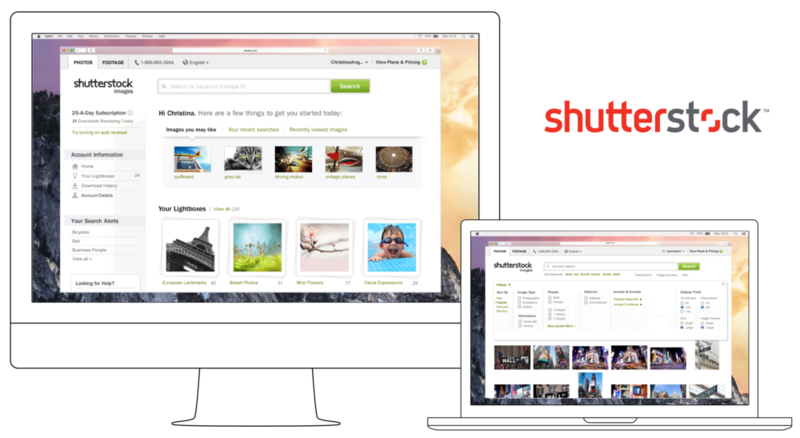 Shutterstock is a world leader in stock photography, vectors, illustrations, and video. They were relatively obscure when I joined them but eventually went on to become one of the largest NYC Tech IPOs making founder Jon Oringer a billionaire. They did it by letting their scrum teams do their jobs. Management (led by the brilliant Thilo Semmelbauer) mostly stayed out of the way once the strategies were in place. Teams had their roadmaps, quarterly rocks, and we went to town. I was very lucky and was hired in as a Senior UX Designer and placed on the high-profile Customer Team where every pixel I designed ended up in front of customers. Shutterstock is where I learned cross-functional teams, scrum, agile, and the two-week sprint. I really learned a lot from the people there and I am eternally grateful. I stay in touch with many of the people I met. 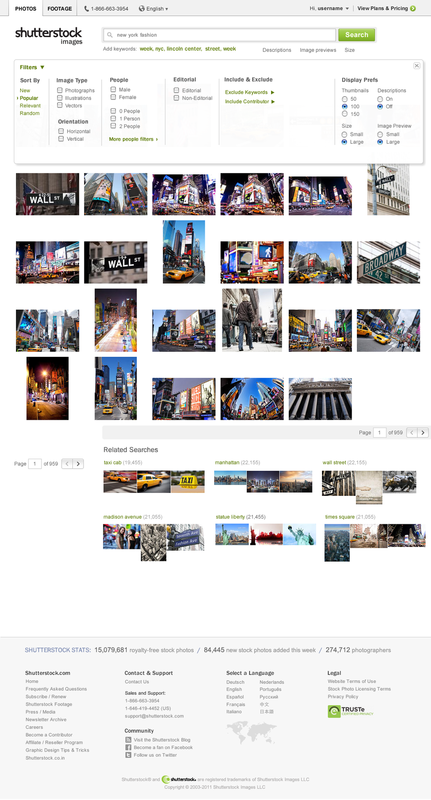 Since they rebranded recently, much of the work I did on lightboxes, search, contributors, etc. has been reworked now, but presented here for you to check out. For the user who is looking for something specific, facets / filtering features can be very powerful, when done correctly. It took many, many iterations to find just the right combination of these to make them feel accessible, usable, but also highly functional. 1. In or out? Which system works best? Either selecting what you want, or select what you don't want. 2. Speed. It should be really fast when you make your selections. 3. Flexibility. Making selections that influence other filters and facets allows for powerful querying capability. 4. Visibility. We all get distracted. If you started clicking and making selections, then were called away from the screen for a moment, could you pick right back up where you left off? I worked a few side gigs while at Shutterstock and in working with clients and recommending stock photos I realized that emailing back and forth was a horrible way to get approvals and rejections. So I envisioned a product with a working title of "Workflow." It was a site that let you collaborate with your clients or teams on a given stock photo and get approvals (or rejections). If the idea sounds familiar, I'll explain why in a minute. Remember when I said this sounds familiar? 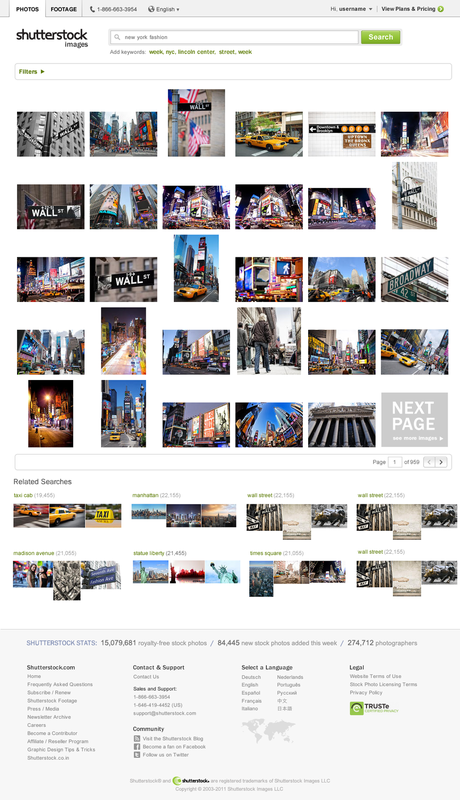 Well, if you change the concept of stock photos to websites, you get InVision! Collaboration tools, like Slack and InVision, are huge right now. Who knows where this could have gone? Although Workflow predates InVision by about a year, they had a similar and (much better) idea. Ironically InVision has a new project management tool within their product called... you guessed it... Workflow.